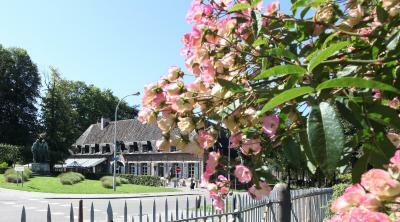 Lock in a great price for Hotel The Lodge Heverlee – rated 8.4 by recent guests! good location next to Arenburg Castle. 30 mins walk to town centre and bus stop outside. Clean comfortable room. good food in restaurant. Friendly, helpful staff. The place is quaint and cute. Feels enclosed and good for a night’s rest. 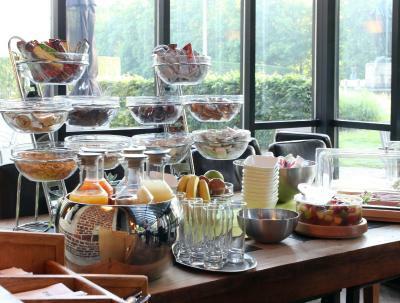 Beutiful area, the hotel is amazing and very comfortable and breakfast was great! Everyone is very nice and helpful. Excellent restaurant and breakfast served by friendly staf. 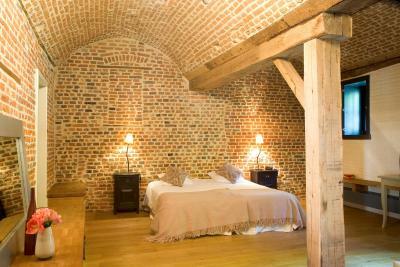 Interesting old fashioned rooms in retrofitted farm. Will come back with pleasure. 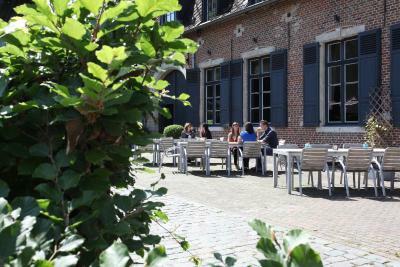 It is a quiet and nice area in Leuven. Staff is nice and friendly. Breakfast here was excellent. 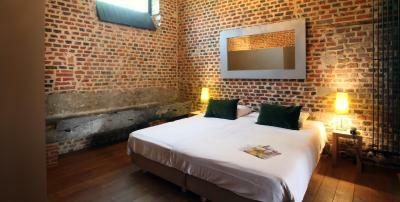 The rooms are very large and comfortable. I really liked that it was located next to the University grounds and there was a Greek restaurant across the street. And all the staff spoke English! 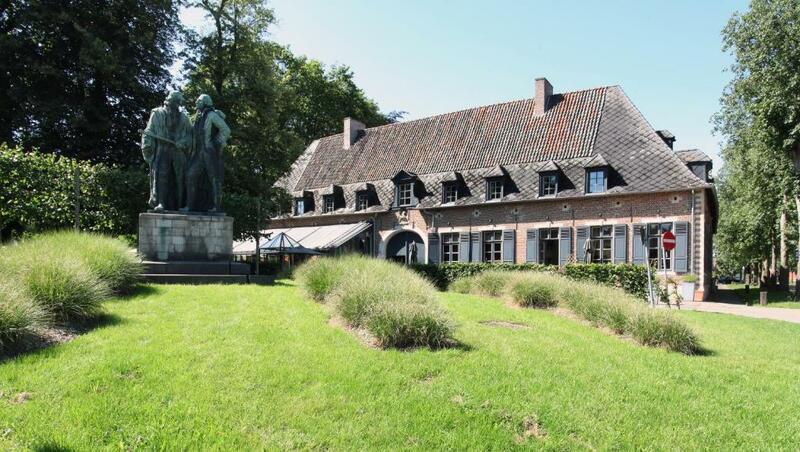 One of our top picks in Leuven.Located in Leuven and set in an old traditional Belgian farmhouse, Hotel The Lodge Heverlee lies 650 feet from the Arenberg Castle with its large gardens. It offers spacious rooms and suites with free WiFi throughout, and benefits from an on-site bar and restaurant, as well as a garden and sauna facilities. 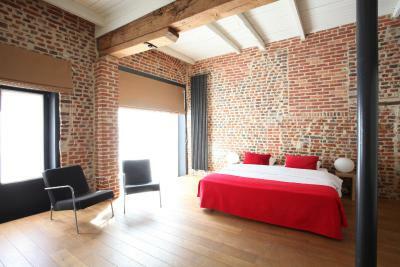 Rooms at The Lodge Heverlee are decorated with soft tones and feature wooden beams and brick walls. They come with a seating area with a TV, as well as a private bathroom fitted with a bathtub or a shower and a hairdryer. 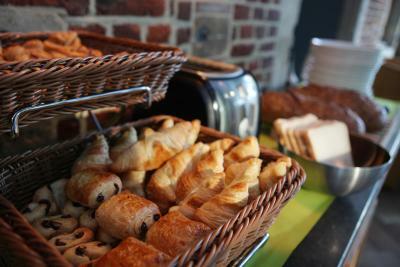 Breakfast is prepared with regional products and served every morning in the common dining room. 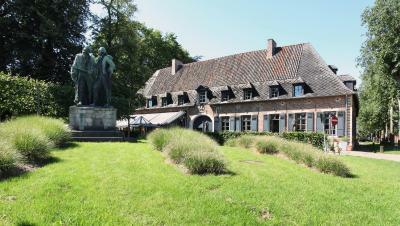 The hotel's restaurant De Oude Kantien features a fireplace and offers traditional Belgian cuisine. 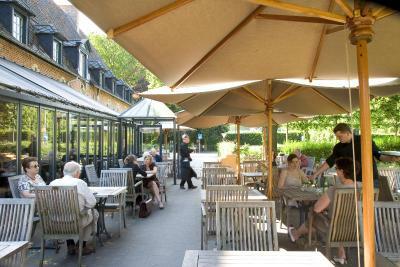 Guests can enjoy a drink in the property's bar or on the terrace overlooking the garden. 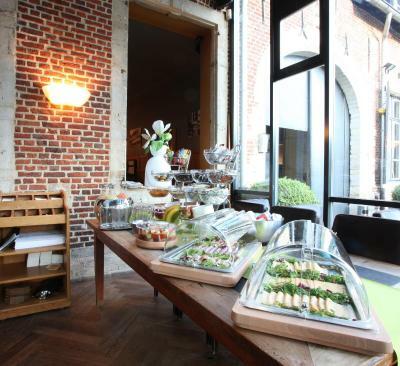 Leuven's historical center featuring the Central Market Square and the Old Square with its many bars and restaurants is 2.1 mi from Hotel The Lodge Heverlee. 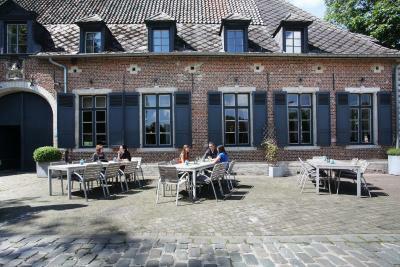 Leuven's Train Station is a 10-minute drive away and offers regular connections with Brussels in 20 minutes. Brussels Airport is 15 minutes away by train. 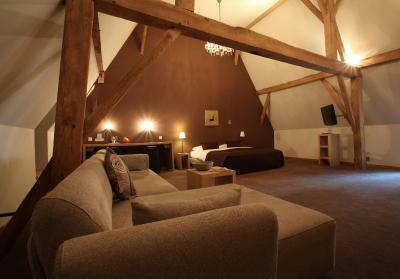 When would you like to stay at Hotel The Lodge Heverlee? 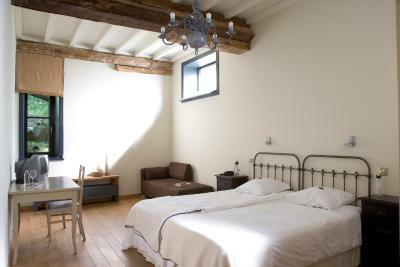 These rooms are individually decorated and feature a TV and a modern bathroom with a bathtub. A free small bottle of water is provided in the room upon arrival. 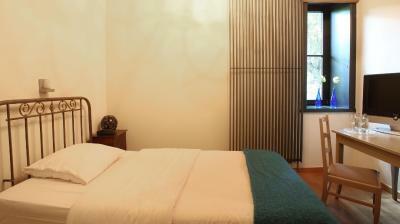 This spacious suite features a living area with a TV, and a modern bathroom with a bathtub. A bottle of wine and a fruit basket are offered upon arrival. This room features a TV and a modern bathroom with a bathtub. A free small bottle of water is provided in the room upon arrival. 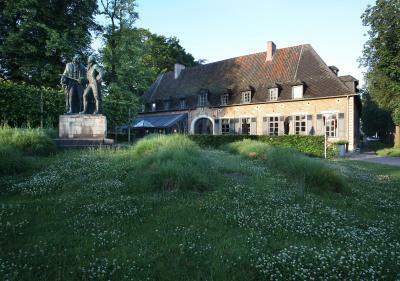 House Rules Hotel The Lodge Heverlee takes special requests – add in the next step! 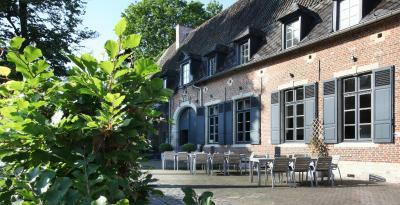 Hotel The Lodge Heverlee accepts these cards and reserves the right to temporarily hold an amount prior to arrival. Please note that on Saturdays, the front desk is open until 9 pm. Breakfast a disappointment, apart from fresh coffee! The only thing i would change would be to have coffee or tea available in the room. The first thing i want to do in the morning is have a cup of coffee, waiting for breakfast at 7am is not ideal. Lovely old farm house. Highly recommended. 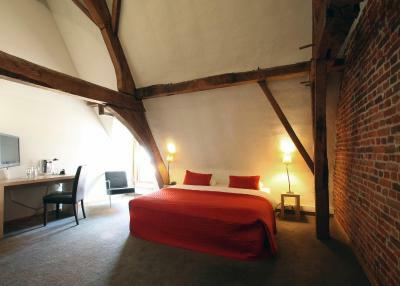 It's spacious, climate controlled, good wifi and charming. It is a really good deal for the price. 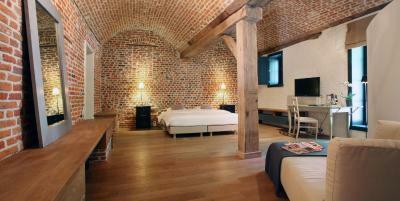 Will definitely want to stay there again on my visits to Leuven. 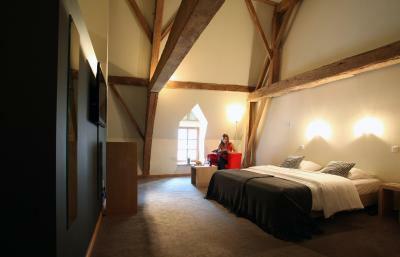 The rooms are absolutely amazing! 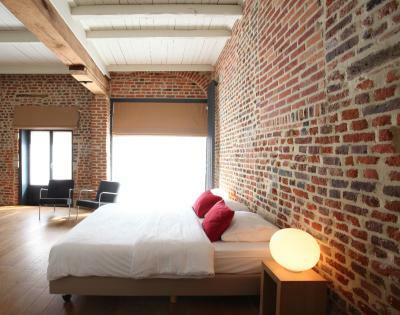 Nice looking interior but rather primitively equipped: bathroom, heating, lightning, etc. The Wi-fi signal was inconsistent in my suite room making working difficult. The food in the restaurant was exceptional. The fillet steak was one of the nicest I have eaten. Room was cold, but heaters provided. Next to building work (not advised) so noisy early morning plus car park access to hotel is across the building works. TV didn’t work. No Shower in bathroom only bath with hand shower. Location, great restaurant, secure underground car park 10e. Modern bathroom facilities, comfortable bed. Nice toiletries. Very good breakfast! Very helpful staff. Plenty of parking nearby. Lots of lovely places to walk around and good bus connections to the center of Leuven. Poor quality of lights in room and bathroom. Poor heating facilities in room. Noise of kitchen under our room. Noise of railtracks 100 mtrs from hotel. The hotel could do with better signage! Our room was huge - really huge and very well equipped. It was freezing outside but despite its size our room ws warm and welcoming. The bathroom however lets it down as its dated. 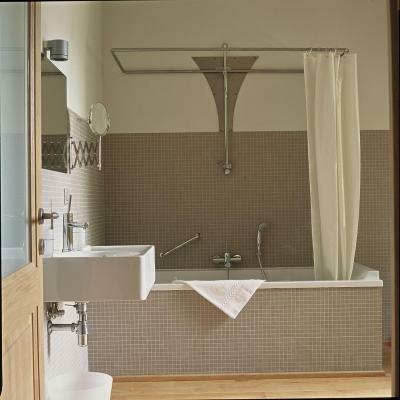 The toilet rolls are placed on top of the cistern, the water very slow to go down the sink and the bath which is enormus has an overhead shower and a not very effective shower curtain. The pop up plug was broken so the bath filled up with water whilst showering. We had dinner in the restaurant which was really superb apart from the time it took for the main course to arrive. A full hour elapsed after finishing our starters to its arrival by which time our appetites had somewhat diminshed. Breakfast choice was good and more than adequate. the shower in the bath was a little uncomfqrtable as it was a stand alone bath so no holder for the shower.